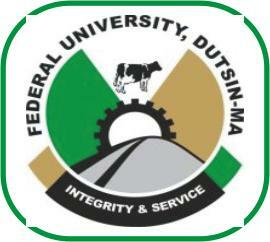 All candidates should note that, this programme doesn’t mean a guarantee for securing admission into the University Degree programmes, but it will assist SOBAPS students to gain admission into 100 level in Federal University Dutsinma; after the students register and sit for next JAMB Examination and must choose Federal University Dutsinma as their First Choice. Successful candidates are to report to the University for Registration from Monday, 24th September and Tuesday, 2nd October, 2018. Lectures commence on Wednesday, 3rd October, 2018. All interested candidates both (Preliminary and Remedial) who have gained admission are advised to follow these procedures and make a Non-refundable payment of the Specified School Fees Schedule. On the ‘Name of Service/Purpose’, click on the drop list and select ‘SOGAPS School fees’ option. On the ‘Amount to pay’ the Amount will reflect automatically. Complete the form and print. Proceed to any of the commercial banks and make payments. After payments, candidates are advised to come along with the evidence of payment from the bank for presentation to the University Bursary Department for collection of the original receipt. List of subjects to be registered. Check the courses you are to offer in the Programme on the form. Make sure you register from the programme offered to you.